Who will reign over the Summer Box Office Charts? The months of July – August is a strong box office period in Japan as it sees the start of summer vacation and includes the Obon festival holidays. It is also when potential ¥3 billion blockbuster films are released. 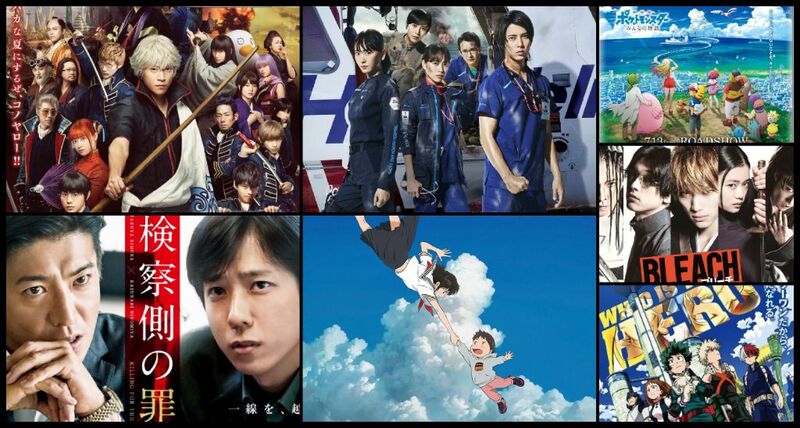 Detective Conan: Zero the Enforcer (released April 13), now on its 15th week at the charts, is currently the year’s top grossing film with ¥8.63 billion. Giving it compeition is Jurassic World: Fallen Kingdom (released July 14) which opened the Summer Box Office Season massively with 833,190 admissions (¥1.217 billion) and reached the ¥2 billion mark in just 4 days. Foreign films to be released in the next weeks include Incredibles 2 (August 1), Mission: Impossible – Fallout (August 3) and Ocean’s 8 (August 10). Now we look at the other notable domestic films squeezing in competition for the Summer Box office chart. Arama, what’s on your movie lookout for the Summer? 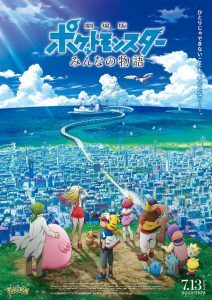 Pokemon: Everyone’s Story (July 13) – The film opened with solid numbers – ¥500 million on 440,242 admissions, just slightly higher than last year’s Pokemon the Movie: I Choose You! film. It can reach total of ¥3 to ¥3.5 billion, a good sign for the franchise. 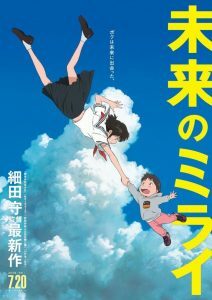 Mirai of the Future (July 20) – The animated film from acclaimed director Hosoda Mamoru, widely considered as Miyazaki Hayao’s successor, had large potential blockbuster. Hosoda’s previous blockbusters “The Boy and The Beast” and “Wolf Children” earned more than ¥5 billion and ¥4 billion respectively. Mirai of the Future opened with ¥400 million on 295,000 admissions. The numbers are strong but it wasn’t the potential breakout film it could be, as it saw a 40% decline from “The Boy and the Beast” (2015). It’s expected to be consistent and can reach total of ¥3 – ¥4 billion. 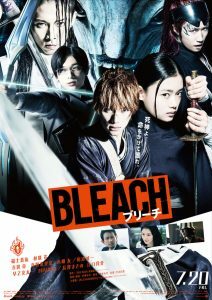 Bleach (July 20) – The live action film adaptation of Kubo Tite’s popular shonen action manga opened in 328 theaters but only earned ¥135 million from 99,000 admissions, a number worse than Takashi Miike’s live action film “JoJo’s Bizarre Adventure: Diamond Is Unbreakable Chapter I”. Due to a weak opening, reaching the ¥1 billion mark is unlikely. The film came way too late, years after the anime and manga concluded and when the general popularity of the franchise already declined years ago. 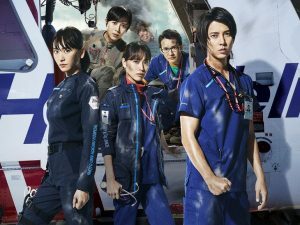 Code Blue – Doctor Heli Kinkyuu Kyuumei ~ The Movie (July 27) – Despite the onslaught of a typhoon this weekend, Code Blue is set to deliver the biggest opening for a domestic live-action film in years, and is poised to become a mega blockbuster film. With an estimated Friday opening of 330,000 admissions, the film records an even higher daily opening number than Detective Conan : Zero the Enforcer. A ¥1 billion opening weekend is possible, but if it doesn’t do so in 2 days, it’s a shoe-in result for its 3- day opening. Only four domestic live-action films have ever debuted above ¥1 billion: Bayside Shakedown: Save the Rainbow Bridge! (2003), Hero (2007), Boys Over Flowers: Final (2008), and Rookies (2009). If it does consistently well over the next weeks, it could give competition for the Yearly box office chart with ¥7- ¥8 billion total in the lookout. Official numbers will be released on Monday, July 30. 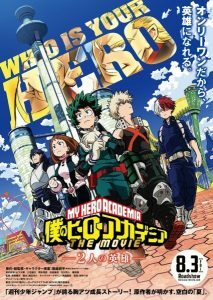 My Hero Academia: Two Heroes (August 3) – This is an animated movie that was announced in the combined second and third issue of 2018 in the Weekly Shonen Jump magazine. The film will feature original content that is yet to be seen in the ongoing manga. The first one million audience members to see the movie will receive a volume 0 book containing a special manga by Horikoshi, as well as character profiles and a “secret dialogue” between Horikoshi and Eiichiro Oda. 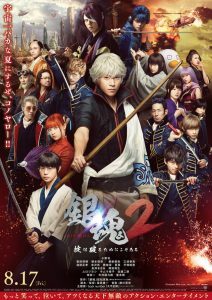 Gintama 2 (August 17)- The first Gintama film is a box office success with total earnings of ¥3.8 billion (opening weekend ¥541 million on 392,789 admissions) The sequel directed by Fukuda Yuichi, is expected to do well and while a live action sequel can struggle to match it’s predecessor’s success (Gantz, Rurouni Kenshin, Attack on Titan) there are instances where it manages to exceed it (Death Note, Assasination Classroom). Kensatsugawa no Zainin (August 24) – The film is directed by acclaimed director Harada Masato, whose latest film Sekigahara (2017) earned ¥2.4 billion. 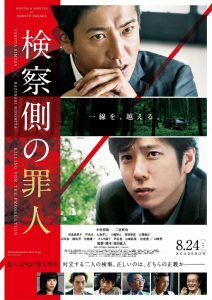 Kensatsugawa no Zainin also capitalizes on the box office draws of its lead stars, Kimura Takuya and Ninomiya Kazunari. 70,000 advanced movie tickets are made available starting July 7. The film has high box office potential and judging from Harada’s previous films (Sekigahara, The Emperor in August), could also very well be headed for the Japan Academy Awards.